Announcing our 2013 Holiday show! Happy autumn! We’re getting ready for our annual Holiday Show at the Rexville Grange. 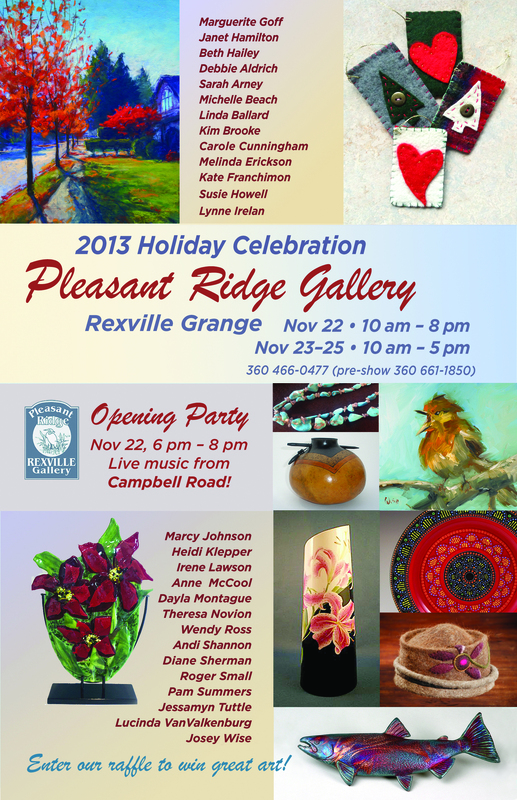 The show will run November 22-25, with an opening reception on Friday the 22nd from 6-8 pm. 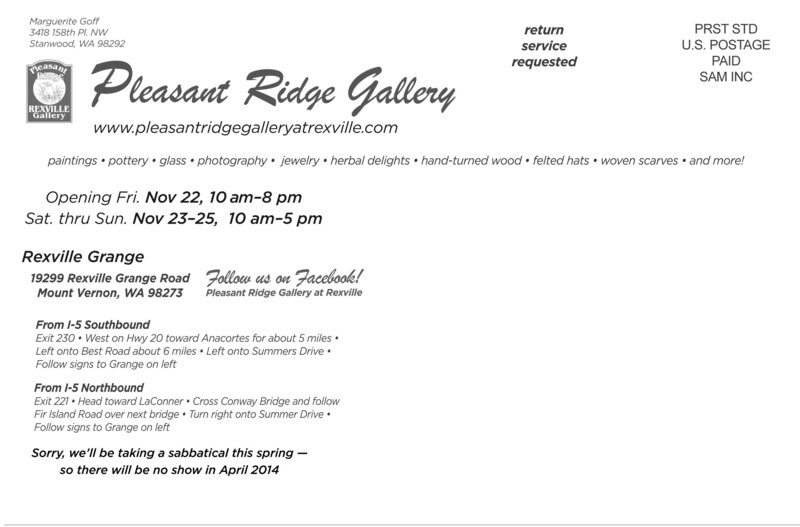 Come out and get your holiday shopping done while supporting local artists!